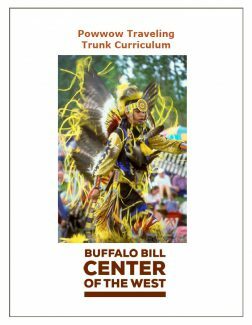 The Buffalo Bill Center of the West offers many K-12 programs and resources to help teachers and students meet Montana and Wyoming’s Indian Education for All component in these state’s Social Studies Standards. 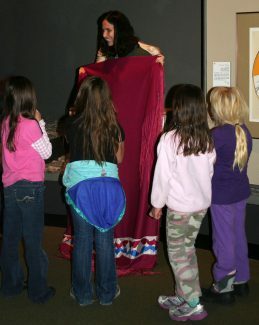 The Center offers various Plains Indian culture and history focused guided tours. 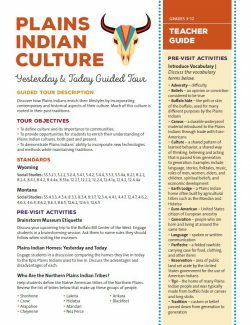 All tours are aligned to Montana and Wyoming’s Indian Education for All Social Studies Standards. The following guides are available for teachers to print. 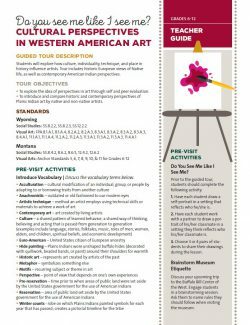 Each guide contains objectives, standards, pre- and post-visit activities, and a resource list. 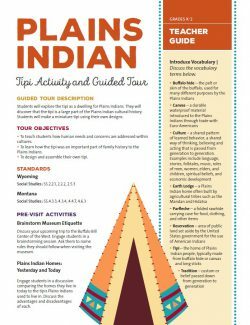 All teacher guides are aligned to Montana and Wyoming’s Indian Education for All Social Studies Standards. Click on the images below for each tour to view its teacher guide. Click on the photo below to download our scavenger hunts. 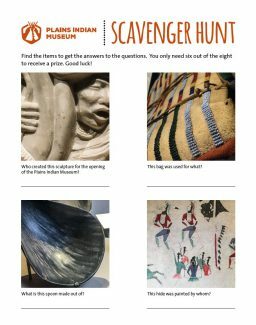 This document contains scavenger hunts for all museums, including the Plains Indian Museum. Requests must be made at least three weeks prior to the requested date. Lending materials may be borrowed for two weeks. Longer periods are considered if requested in advance. All shipping costs are the responsibility of the borrower. An invoice for shipping to your school is included when materials are shipped. Click on each image for a larger view of trunk contents. 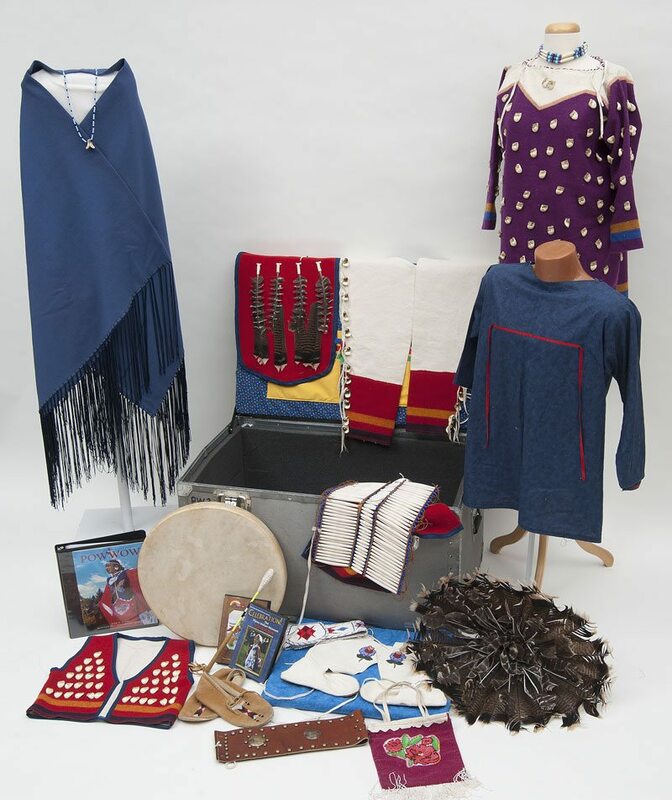 This trunk fosters an understanding and appreciation for the culture of Plains Indian people. 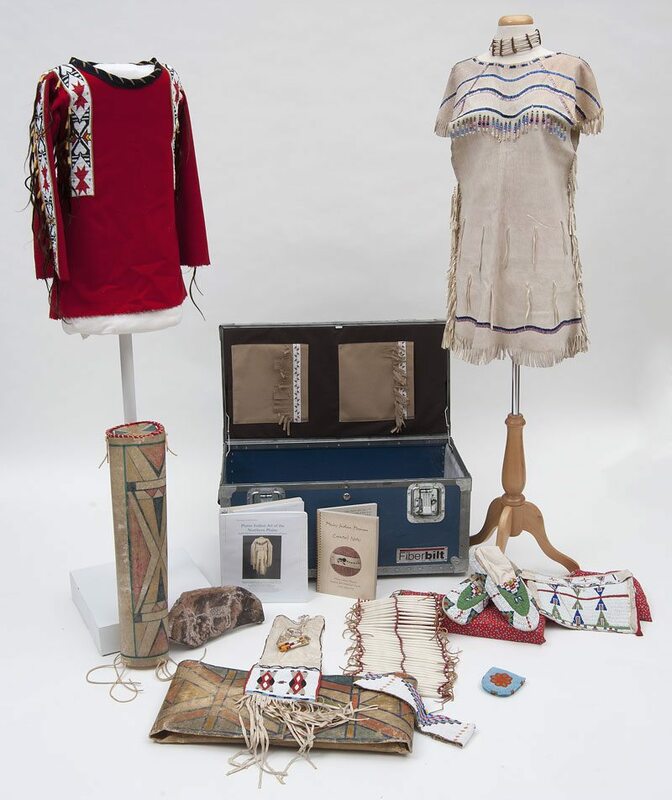 Materials in the trunk include examples of traditional Plains Indian arts such as: bead work; quill work; and painted objects. A teacher’s guide is enclosed. 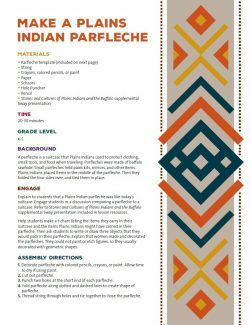 Powwow Trunk – Brand New Curriculum Based on New Standards!! Music and dance have long been central to American Indian cultures. Today’s powwow is a celebration of that heritage. 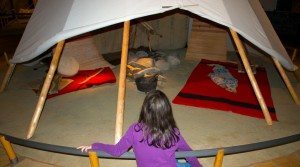 Learn about powwows in their present form and the history behind them with a video, dance outfits, musical instruments, accessories, and a teacher’s guide. 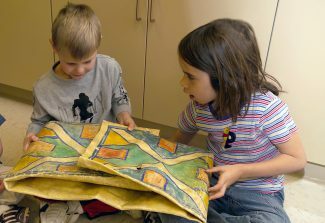 Each trunk’s curriculum is aligned to Montana and Wyoming’s Indian Education for All Social Studies Standards. 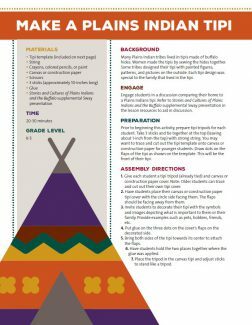 Click on the images below to download the Plains Indian Art Trunk Curriculum and the Powwow Trunk Curriculum. The Center’s successful Skype in the Classroom program offers several lessons that are aligned to Montana and Wyoming’s Indian Education for All Social Studies Standards. Did you every think different kinds of shoes have a story? Or maybe, different hats? Together we’ll work with teachers to uncover the hidden stories about objects centered around our Plains Indian collection at the Buffalo Bill Center of the West. Then teachers can take what they’ve learned back to their classroom. Click on the photo to the left to get a sneak peek into this new lesson. 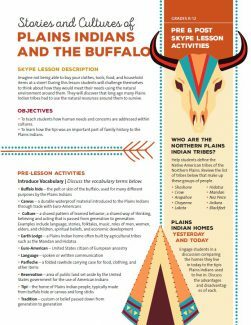 All of our K-12 school offerings meet Wyoming and Montana state Social Studies Standards, including Indian Education for all. Please click on the link below to view our standards correlation chart. 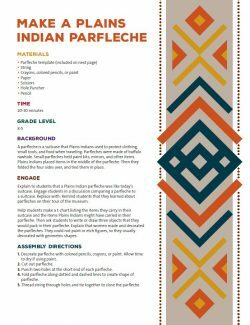 Teachers and students can use our online resources to supplement their Indian Education for All curriculum. Each resource is designed to meet the needs of K-12 schools, whether they visit the Center or not. 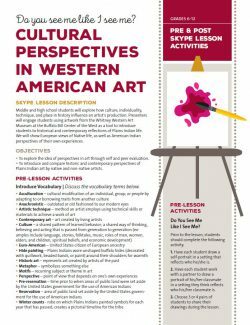 Looking to enrich your curriculum with primary resources through photos, art, and oral histories? This rich content will help teachers and students, whether they have visited the Center or not. 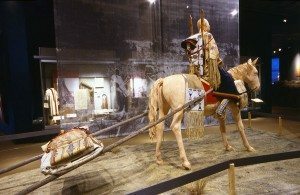 Visit the following links to explore Plains Indian culture and history. Learn about village life from the historic era. 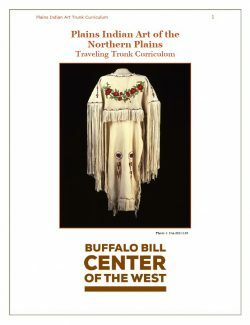 Explore the economic and spiritual importance of buffalo to the Native people of the Plains. Discover the ceremonial aspects of Plains life. Reflect on the changes and innovation that have taken place in the cultures of Plains people since being placed on reservations. This Plains Indian Map—created with generous funding from The Brown Foundation, Inc., of Houston—is a fusion of scholarship and educational interpretation. The map represents 230 years of movement on the Plains amongst more than 45 different Indian cultures. Territorial, treaty, reservation, and state boundaries flow in an animated timeline. The innovative scholarship and interpretation showcased in this map is recommended for a broad audience, including K–12 teachers and students. Viewers can pause the online animation at any point to study a particular map. Visit our new Online Collections database, where you and your class can browse our artifact collection and create your own “Virtual Exhibits.” Select the Plains Indian Museum when conducting your search to narrow your results. The Center’s McCracken Research Library has extensive primary resources, including photographs of Plains Indian history and culture. The library also offers specialized research for middle and high school groups. In the words of Plains Indian Museum Advisory Board member and Crow tribal historian Dr. Joseph Medicine Crow, the Museum is “a living, breathing place where more than just Indian objects are on display.” Since 1979 the museum has been a leader in promoting public recognition of the importance of Plains Indian art due to its nationally significant collection. 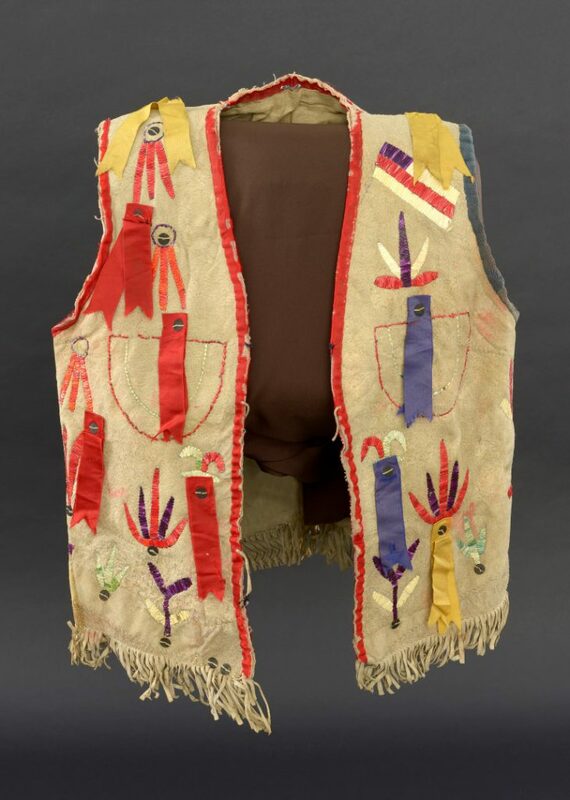 Vest (front and back), Santee Sioux, Center Plains, ca. 1880 Paul Dyck Buffalo Culture Collection NA.202.1445. Tanned Hide, dyed porcupine quills, silk ribbon, cotton cloth, silk cloth, wool cloth, metal sequins. The 2,000 piece collection consists of objects dating from the late 1700s to 1890s. With many individual pieces of exceptional artistry and historic significance, the collection as a whole includes works from every Plains tribe. The Paul Dyck Collection includes objects associated with individuals of national significance in American cultural history including leaders such as Chief Joseph of the Nez Perce; great Lakota leaders Sitting Bull and Crazy Horse; the last recognized chief of the Crow nation, Plenty Coups; Mountain Chief, leader of the Blackfeet; and historic explorers, Lewis and Clark. Other collection materials are associated with significant historical events including firearms and other weapons used at the Battle of Little Bighorn and objects associated with Curly and White Swan of the Crow 7th Cavalry scouts at the battle. Follow us on social media to stay current on all of our Plains Indian related posts. The links below provide more valuable resources available to students and teachers.